The Mitchell Anthony Mausoleum in Muncie, Indiana, has long styraight lines characteristic of Art Moderne Architecture popular from the 1920s until the late 1970s. The design is similar to Art Deco in that they both use straight lines with bare forms and geometric ornamentation. 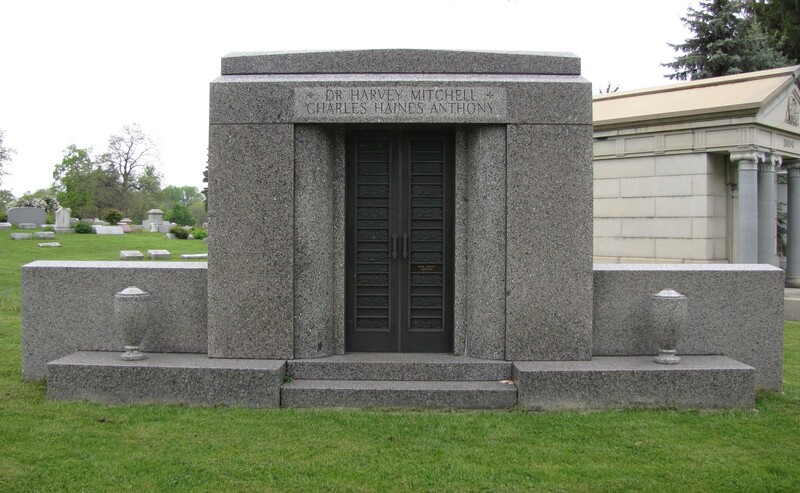 Art Moderne Architecture often includes rounded corners like the ones framing the doorway of the Mitchell Anthony Mausoleum. Art Deco and Art Moderne, however, are different in that Art Deco uses vertical orientation while Art Moderne has a distinctly horizontal orientation.